Peach trees need a minimum number of chill hours when the temperature is below 45 degrees F to flower and set fruit properly. Since the winter temperatures last longer in the northern and panhandle parts of Florida, more varieties of peach trees can be grown there than in the central and southern parts of the state. The University of Florida developed the Florida and UF varieties of peach trees for Florida. The United States Department of Agriculture, the University of Florida, and the University of Georgia worked together to develop the Gulf varieties of peach trees for areas along the Gulf coast. Numerous pests and diseases affect peach trees, so they need to be monitored and treated regularly to prevent problems. Peach trees grow best in full sun and well-drained soil with ample room for air circulation. Regular irrigation and fertilization are important for the best quality of fruit. The Panhandle and North Florida receive an average of 350 to 650 chill hours during the winter. The Flordaking peach tree produces medium-large peaches in early May and needs 350 chill hours. Flordacrest needs 375 chill hours, and Gulfcrest needs 525 chill hours. Both produce medium fruits in mid-May. Gulfcrimson and Gulfprince both need 400 chill hours and produce medium-large peaches. Gulfcrimson ripens in late May, and Gulfprince ripens in early June. The varieties suitable for Central and South Florida can also be grown in North Florida and the Panhandle. The Central Florida area receives an average of 200 to 400 chill hours in the winter. UF beauty requires 200 chill hours and produces medium fruits in late April, while UFO needs 250 chill hours and produces medium-small peaches in mid-May. Flordaking, Flordacrest, Gulfcrimson and Gulfprince can also be grown in Central Florida. The southern part of Florida receives less than 200 chill hours during the winter. 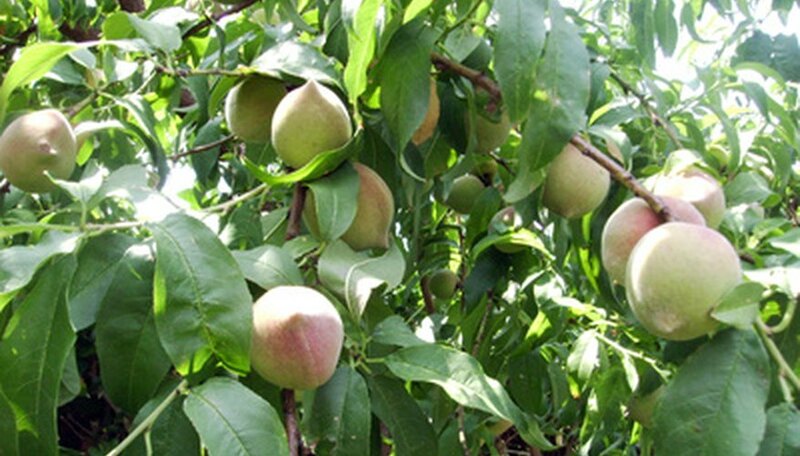 Flordaprince produces small fruits in mid-April, Flordaglo produces medium peaches in late April, and Tropic Beauty produces medium large fruits in early May. All three varieties require 150 chill hours and can also be grown in Central Florida.